Total Tranmere today brings you an interview with former player Danny Holmes, who was released by the club last summer. 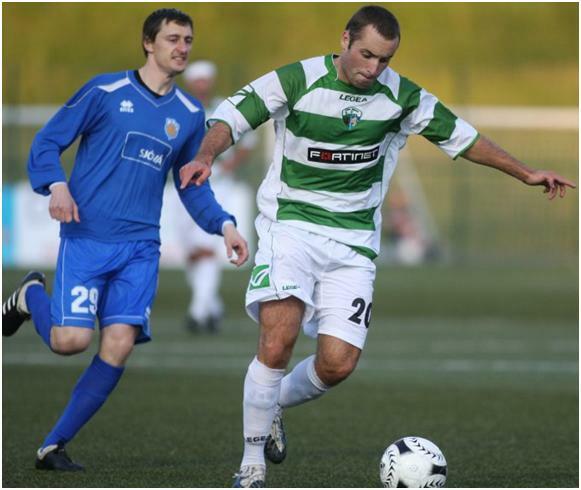 A graduate of Rovers' successful academy, Holmes, a Tranmere fan, made his debut appearance for the club in November 2008 against Yeovil Town, though this was sadly the only appearance he would make for Ronnie Moore's side. One year on from his release, Total Tranmere catches up with Holmes, who has had a very successful year after a double winning season with The New Saints in the Welsh Premier League. Firstly Danny thanks very much for taking the time to do this! Total Tranmere: Have you enjoyed your first season in the Welsh league? It’s certainly been a successful one for you, after being named in the team of the year and winning the double! TT: Which was better? 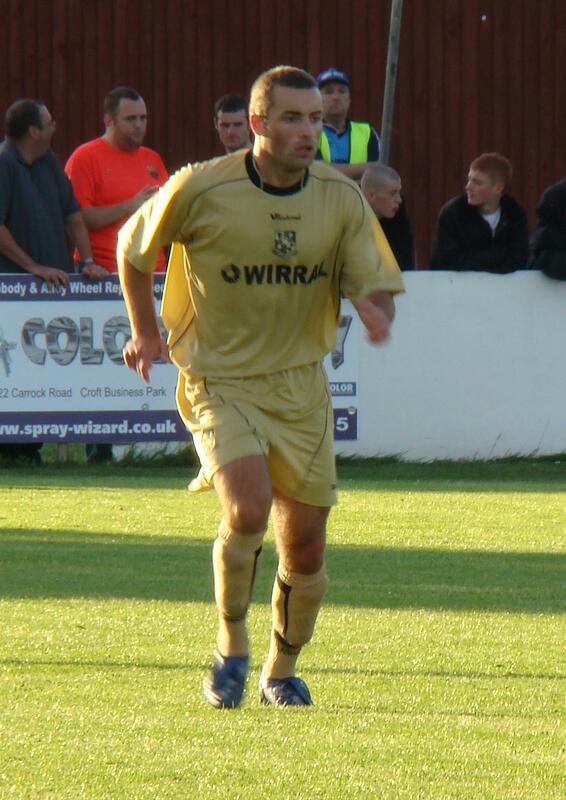 Making your debut for Tranmere or winning the Welsh league and cup double? DH: Definitely making my debut for Tranmere, because it was a long life dream from a young age. TT: What was it like playing in Europe at the start of the season? DH: It was a really good experience because I had never got the chance to travel abroad to play football competitively. Also playing against a team with a different style of football was interesting and definitely helped me develop as a footballer. TT: How different is life at T.N.S. compared to Tranmere? Are you a professional club and what are facilities like etc.? DH: We are a professional club; however the league is not professional. The facilities are really good although we play on an Astroturf pitch which does have its down sides, because you want to play football on a grass pitch. Saying that there is a plus side as there are never any bobbles during a game. However the facilities are really good! TT: What is the standard of football in the Welsh league like? DH: It’s obviously not as good as Tranmere standard but when playing the better teams it is a good game. TT: Playing for Tranmere was a clearly a lifelong ambition for you, and something you achieved against Yeovil in November 2008. You won a lot of plaudits that day not only for your performance, but also for the way you conducted yourself after the match towards the fans. What did it feel like playing for the club you supported as a boy and playing in front of your own fans? DH: It was a truly special moment and before the game I even got a bit emotional but I had to concentrate. I felt I did well in a weakened team but the result on the day was a bit gutting. I went over to thanks the fans because they all really encouraged me during the game which spurred me on, I also went over because I do feel a bond with the fans because I am also a Tranmere fan. TT: You’d been at Tranmere a very long time though before you made your debut. How old were you when you first played for Tranmere? DH: I was 7 years old when I first played and surprisingly played as a striker, but over the years I got moved back which was probably the right decision as it suited my style of play. TT: Your actual first team debut came playing whilst on-loan at Southport. How important an experience was that and how different was that compared to reserve team football at Tranmere? DH: At the time it was a really important experience as I thought it was going to be really worthwhile, but in the end it never really helped me to get involved at Tranmere which I thought it would have. The standard was much better than expected and playing with men in comparison to the reserves made me more enthusiastic and spurred me on to achieve better things. 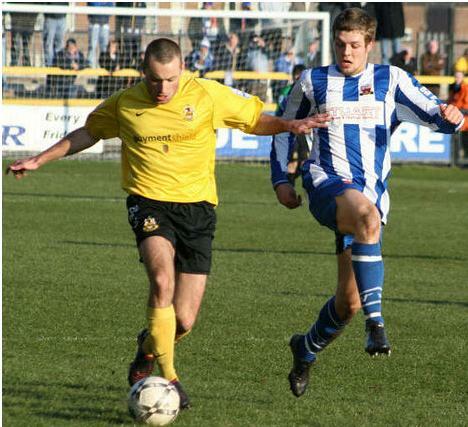 Although I loved playing for the reserves, at Southport it was a lot more competitive for me which definitely gave me good experience. TT: You got rave reviews whilst at Southport I seem to remember. All things considered, it was hugely surprising you didn’t break into the first team at Tranmere sooner. Do you feel you should have played for the first team more? DH: Yeah definitely because after that season I was hoping to be a key member of the squad and during pre season it looked that way as I was playing in the main team more or less the whole time…until the Morecambe game when Godwin Antwi began his loan, and the rest is history. TT: Staying with Tranmere, in a typical week what did you as a Y.T.S.? DH: I was always the first there and I used to clean Chris Greenacre’s and Mike Jackson’s boots in the first year and in the second I cleaned Chris’s again, Steve Davies’ and Danny Coyne’s. After that I would do weights in the gym followed by a training session. That was my typical week, except for Wednesday when playing for the reserves and Saturday playing for the youth. TT: And who was the best person to work with at Prenton Park? DH: Les Parry because he always sorted me out to the best of his ability when injured and Chris Greenacre because he always encouraged me and made me feel worthwhile when not being involved. TT: Did you ever get an idea of what Les Parry could be like as a football manager during your time with Tranmere? DH: Yes because he always had an objective and succeeded to reach it, he’s strong willed and not afraid to say what he thinks, and in my opinion honesty is an important factor for a manager. I hope he stays in the job. He deserves it! TT: Why do you think so many former players come back to play for/watch Tranmere on a regular basis? What's so special about the Club? DH: I think because you were always happy when you played there and trained there. When I go back to watch it’s because I support them and want them to do well. TT: Sadly you only made one appearance for Tranmere before being released last summer. How did your move to The New Saints come about after you left Tranmere? DH: Well I was looking to get on trial at a few places which never came off and I ended up going to Chester but they couldn’t sign me because of their financial situations, and TNS was the only team to make an offer. Unfortunately my second season with Tranmere I was not allowed to go on loan therefore being in the reserves didn’t put me in the shop window as such, resulting in no clubs really knowing of me. TT: There are a couple of ex-Tranmere players at T.N.S. I see, including your brother Tommy, as well as defender Phil Baker (and also Chris Sharp, who played for Tranmere on trial last summer). 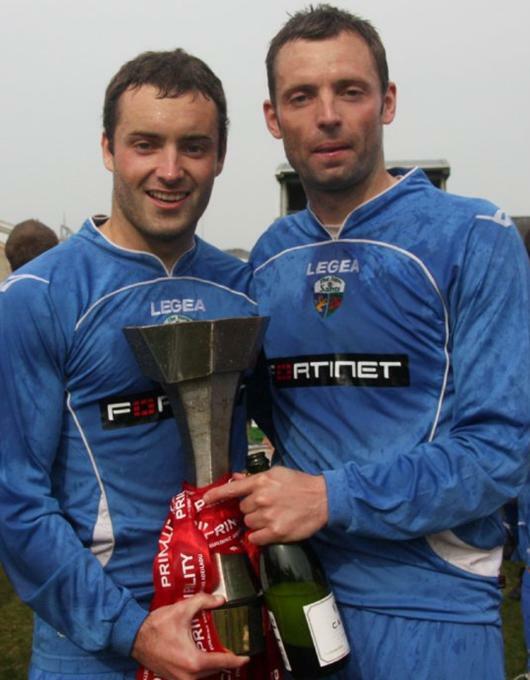 Have you come up against any other team mates from your Tranmere days in the Welsh league? DH: I have come up against Michael Johnston and Ryan Fraughan. It’s always good playing against people you’ve played with because you get to see what they’re like now as a footballer. TT: Where do you see your career in the future? Would you like to see yourself back in the Football League one day, perhaps with Tranmere? DH: I would love to be back at Tranmere but I will just have to wait and see where my future takes me. At the minute I’m really enjoying football as I’ve got my love back for football again, as being released really hurt me and made me not want to play! TT: Finally, any chance of Tranmere playing T.N.S. in a pre-season friendly?! DH: I wouldn’t have a clue, but I hope so. Total Tranmere would like to express a huge thank you to Danny for his time, and we wish him all the best for the future. We hope he has a great summer and good luck next season; hopefully you’ll have another successful year! Strange that this came up, I heard a rumour from a reliable source saying that Danny may even be coming back this summer. Great interview! Cheers Matt for setting it up and cheers to Danny as well!